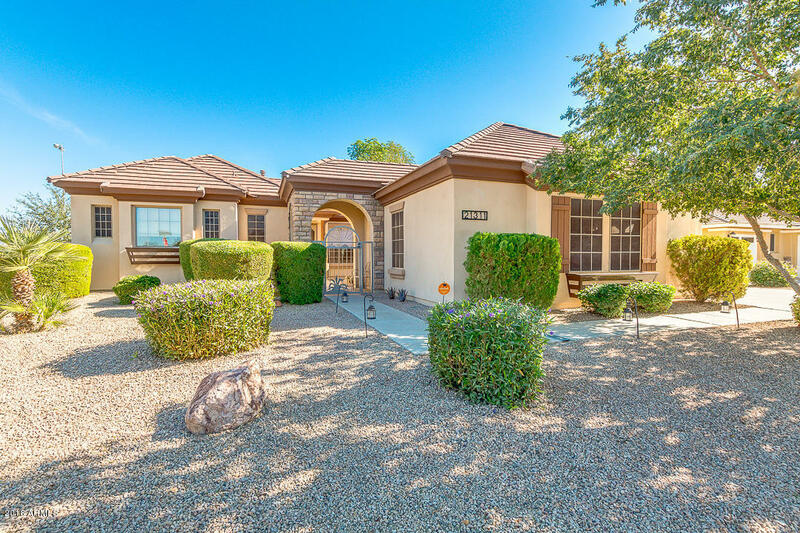 Remarkable 2,266 Sq Ft, 4 bedroom home on over-sized lot with heated pool and spa in Sossaman Estates community on the Gilbert/Queen Creek border. Open great room floor plan features stone fireplace, high ceilings, gorgeous wood flooring, niche cut-outs, and 3 car garage. Gourmet chef kitchen with granite counters, large island, double ovens, gas cook top, walk-in pantry, breakfast bar, crown molding, ample cabinetry, decorative back splash, and all matching appliances included. Large split master retreat offers a jetted soaking tub, big walk-in closet, dual vanities, private water closet, and separate entrance to the private courtyard. Resort-like backyard is complete with a refreshing heated pool and spa, extended covered patio, built-in BBQ, grass play area, and lush mature landscaping.